It’s the cliche we throw at people their whole lives. Whether they’re a teenager heading to their first day of High School, professional starting a new job, or someone going on a first date we use these three words to set them at ease in a situation that might bring anxiety, discomfort, or self-doubt. It’s a quick reminder to stay grounded, be true to yourself, and let fate do what it’ll do. But “being ourselves,”…what does this really mean? Some scientists believe they can prove that we undergo significant chemical changes once every 7 or 8 years. This means there are certain shifts to our brain, effecting us on a subconscious level. Because we are constantly reminding ourselves of the person we think we are (the ego) these shifts that we don’t even understand are happening, and can range from moderate nuisances to consciously traumatic episodes. These changes we undergo are inevitable — and the best way to deal with them is not to fight against them, but instead understand their depth and complexity and work towards calibrating our psyche to integrate them into our conscious behavior. In Campbell’s Pathways to Bliss, he spends a great deal of time referencing the work of Psychologist Carl Jung. In the chapter Myth and the Self, Campbell discusses Jung’s theories on the life cycles that are always working on the subconscious of our psyche. These are the deeply rooted triggers behind your mood, general temperament, and overall state-of-mind. 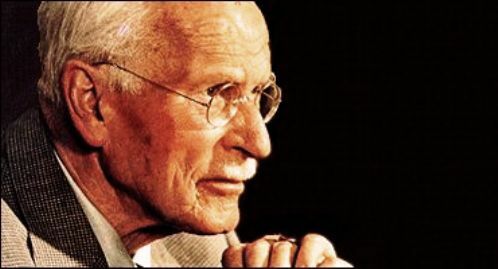 Psychologist Carl Jung (1875 – 1961) is the founder of analytical psychology; proposing the idea of the collective unconscious, individuation, and the presence of and role archetypes play in our active psyche. To segment this, Jung (through Campbell) symbolically describes individual existence as a “solar journey.” The first half of life is the rising of the sun into the sky — this is the arc from our birth to the gradual integration into society. The latter half of life is like the gradual setting of the sun, as we move from active participants in the world and society to death. Paradoxically, the threat of the first half of life is life, the threat of the second half is death. Throughout, all the symbols we are faced with (on both a conscious and subconscious level) are constantly changing in their meaning. Obviously this first phase starts with Birth and takes us through to roughly the age of twenty-five. This is the dependency stage of our existence where we first rely upon (and almost deify) our parents in very early life. They are our first role models, helping us to make sense of a chaotic and imperfect world. Early-on, at one point or another our young psyche recognizes the imperfection in these role models who are supposed to guide us through this chaotic world. The recognition of their imperfection is devestating to us at first, but is crucial to our development. It helps us adapt to an imperfect world that we will gradually become integrated with as we — through rites of initiation — become active members of the society at large. Throughout this phase, we are constantly looking for “heroes,” these are role models that show us how to live life. Beyond our parents, these become teachers, other family members and later mentors that we learn from. Through this phase we are dependent upon these role models to show us how to live life and integrate ourselves not only effectively but prosperously into society. The fundamental qualities for this phase of life are…obedience, a sense of shame and guilt, comeliness of appearance and sweetness of conduct. We are impressionable and learning, testing out personae and shaping the ego that will eventually take hold and become the sense of “who we are” that we will believe ourselves to be for the rest of our life. This is the phase I’m most fascinated with — obviously because I’m in it right now. This phase lasts from 25 to about 45 years old and is where we are supposed to transition from Dependency to Independence — into “Becoming.” If you buy into the theory of our life as “Our Hero’s Journey,” this is The Phase of Courage. If we’ve transitioned correctly from the Childhood phase we’ve accepted the imperfections in our parents, role models, and society and embraced them. This manifests itself in “compassion.” Instead of being motivated by desires that were more self-centered in the Childhood phase, we are instead focused on the betterment of the whole. Here we choose work and activities where we give the best of ourselves to others – a spouse we love, children we set to raise, and the parents that raised us and the family that helped us integrate into the society. In our work, we are at our best during this phase and at around the age of 35, actually reach our peak. At this point we can take the experience of what we have formerly been taught and use it to teach others. This is where we give of ourselves back to society, and the key time for what Campbell would call FOLLOWING OUR BLISS. This is the phase characterized by…temperance, courage, love, courtesy, and loyalty. They are the values of a knight and the point where we can truly fulfill the destiny we are meant to live, the following of bliss, the fulfillment of one’s personal legend, the journey of our inner-hero. The problems with all of these phases occur when we are not transitioning properly from one to the next. If we fail to embrace the qualities of The Becoming Phase then our psyche begins to show subtle “cracks.” This is clearly evident in individuals who don’t move from dependency to independence. They look to others to solve their problems, symbolic of running back to one’s parents — and blame others when problems arise. Their actions are often selfish, motivated by feeding interests and causes that only benefit them. The longer one waits to integrate the qualities of Phase # 2 into their lives the more tragic the consequences will be later in life. However, if one claims responsibility for their life, and instead of looking to others as heroes, becomes the type of hero they would want to follow then the transition is not only smooth but blissful. Now that I’m aware of these phases, and how they affect my psyche’s growth I often try to judge my actions not by what other people think of them, but by what I think of them. In other words, if I understand the depth of my morals and convictions, then I shouldn’t need anyone else’s approval…my own is enough. For me, this phase is about understanding the Me I’ve always wanted to be,forgiving myself for the mistakes I’ve made that have impeded my fulfillment, recognizing the new opportunities to become the man I wish to be, and seizing them. This is the embracing of life as an adventure, my adventure — I am my own hero and the living of life is the journey. This stage of life lasts from about 45 – 70 and is the time in one’s life where you take all that you’ve accomplished and learned and impart it to the other members of society. It is how you help guide the integration of others. In this stage, one has nothing to lose — you are completely comfortable and knowledge of yourself. If you have integrated the phases properly you are both humbly proud of your life’s successes and aware and accepting of it’s failures. From those failures recognized, you choose to impart this knowledge, in the form of wisdom to those in the phases before you. The characteristics of this phase are…wisdom, justice, generosity, humor, and cheerfulness. 1.) An individual can act in selfish ways that call back to their childhood. This is where they can focus on entitlement, self-pity, a need for attention. 2.) An individual can try obsessively to control their environment and those that exist in it. People become possessions, they see life as lost opportunities and become angry about things that “didn’t go their way.” Since they feel, on a subconscious level, that they didn’t have the life they wanted, they complain about everything in the life they do have. They retreat to the feelings of guilt and shame that were ever-present in childhood, but are unable to face them. It becomes a crisis. The key to this phase of life is to look upon all of what’s happened with that tool you learned during Phase # 2 – “Compassion.” Realize that you are not, nor have you ever been perfect, and nor should you expect perfection from others or the world at large. It is always in a state of becoming as you once were and you must embrace it and give to it what you have to offer. This is your knowledge of how to live life, your wisdom, and if it is given selflessly – it will become an invaluable tool for others you care about and seek to lead and mentor. This last phase, which lasts from 70 and on is the final phase of life. Here, one naturally carries with them the psyche that evolved and took hold during Phase # 3. You can either continue to impart wisdom and the grace of living a good life to others or you can perpetuate anger, self-pity, and/or selfishness. Whether you’re aware it or not, you made your choice at some point in Phase # 3, a choice you were probably slowly making your whole life leading up until now. At this point, it’s hard to change. Being consciously aware of these phases allows us to see them living in those around us and most importantly, within ourselves. While the phases of our psyche are as inevitable as the phases of our moon the sheer recognition of what is happening to us (and others) allows us to choose how we want to face, embrace, and experience life as it’s lived — not only in hindsight. It’s the act of being present. 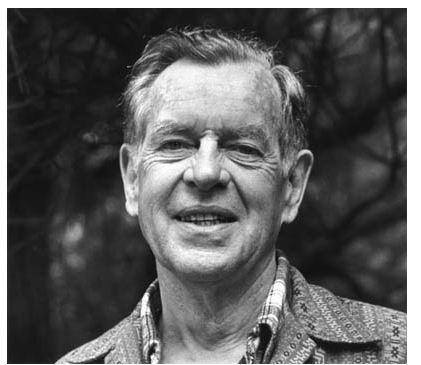 Campbell goes on to say that the way to find your personal myth, your bliss, is to “find your zeal, and then your support and to always know what stage of life you’re in. The problems of youth are not the problems of age,” he says. But when we are so caught up in being who we think we are, it’s impossible to see this. It’s impossible to see the forest from the trees. 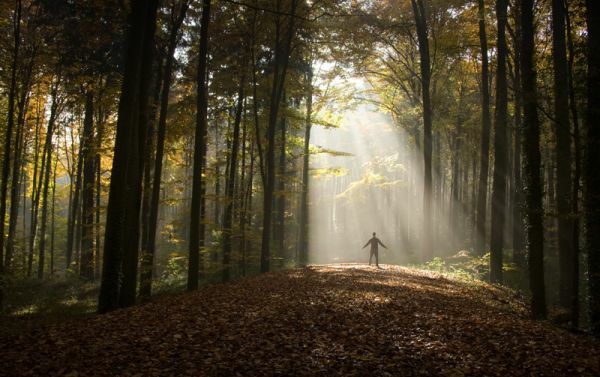 And when we become so swallowed by the shadows of this forest, it’s impossible to appreciate the beauty of the sunlight we should be standing in. ~ by Dan Fabrizio on September 15, 2012.